Videogame publisher Modus Games and Indie developer Moondrop are pleased to announce that co-op platformer game Degrees Of Separation will be making its way onto Nintendo Switch on February 14th. The game can be played singularly or with a friend as you manipulate heat and cold with the game’s dual protaganists Ember and Rime. Degrees Of Separation will also be coming to the PS4, XBox One and Steam and will cost $15.99. You can find out more about the game in the official press release below along with a gameplay trailer. 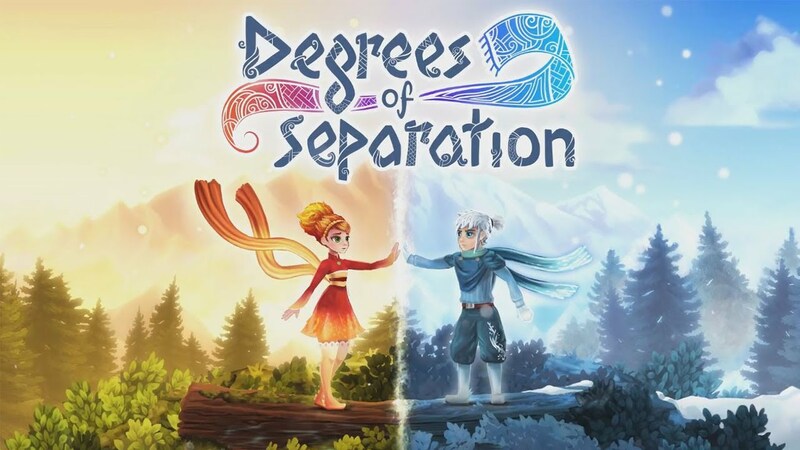 December 18, 2018 — Walnut Creek, CA – Today, Modus Games and developer Moondrop are excited to share an in-depth look at the gameplay of upcoming 2D puzzle platformer, Degrees of Separation. Releasing on Nintendo Switch, PlayStation®4, Steam, and Xbox One on February 14, 2019, players take control of two equally powerful characters as they manipulate heat and cold in tandem, traversing a lush environment rife with puzzles and exploring themes of closeness and separation.